Other than the obvious SPF sunblock to prevent sunburn and dryness, what do you do once you already have sunburn and dryness? If you have ever asked “How do you get rid of sunburn?” then you know that what you are really asking is “Whats a quick cure for soothing sunburn?” since you cannot actually get rid of sunburn, because the skin is already sunburned. The goal is to use a product that will also to repair skin, keep it supple, and prevent DNA damage. For healing and cooling effects, apply to sunburn 2 or 3 times a day. This ready made cooling cream works wonders. 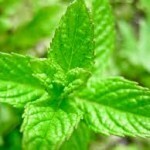 The Peppermint soothes the burn, while the Shea heals, calms and deeply conditions the skin. Scientists have found over 200 nutritional substances in Organic Aloe Vera Leaf Juice. Aloe Barbadensis leaves, include 32 vitamins and minerals, 19 amino acids, and a variety of enzymes, which stimulate collagen formation, preventing DNA destruction. 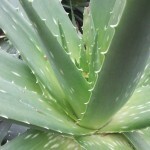 Aloe acts as a potent moisturizing agent, and is well known for its anti-inflammatory properties. Organic Shea Butter – Anti-inflammatory properties heal and soothe sunburn. Organic Watermelon Fruit Extract – rich in Omega 6 and 9 essential fatty acids, to rehydrate your skin, by a deep penetration of rare moisturizing botanicals. Organic Rosehip Fruit Extract – Promotes production of collagen and elastin, which keep skin supple. Organic Wheat Germ Extract – Wheat germ oil is rich in Vitamins A, B, D, and E, and high in antioxidants, all of which repair skin. Organic Green Tea Leaf Extract – Polyphenols are the active ingredients in green tea, and possess antioxidant and anti-inflammatory properties. Extremely effective treatment for reducing the redness and irritation.